While appointment slots for passport application and renewal is seemingly a big problem in the Philippines, Filipino migrants are experiencing difficulties in their passport renewal while abroad. 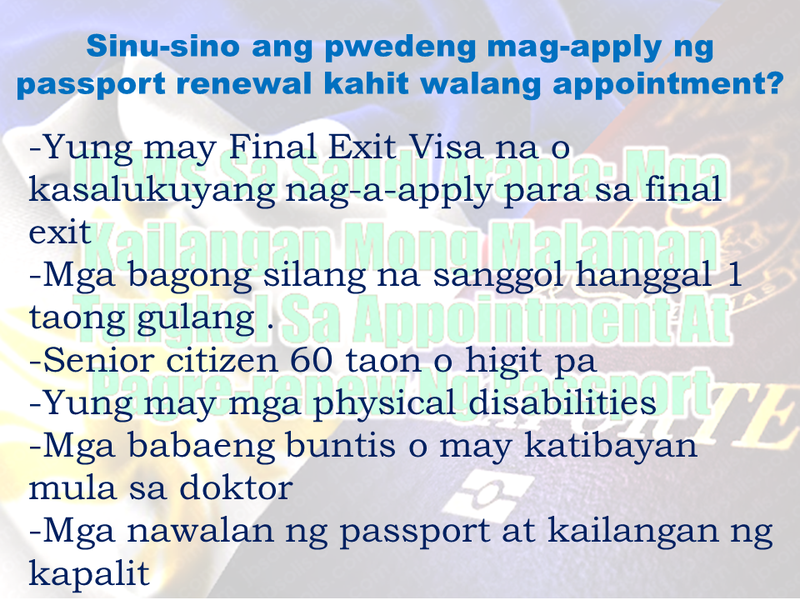 Many would rather spend a portion of their vacation just to renew their passport at the Consular office of the Department of Foreign Affairs (DFA) at Aseana and taking the opportunity to enjoy the privilege of the courtesy lane provided by the DFA for OFWs. Some would also renew their passport especially if they have a passport which is expiring very soon. 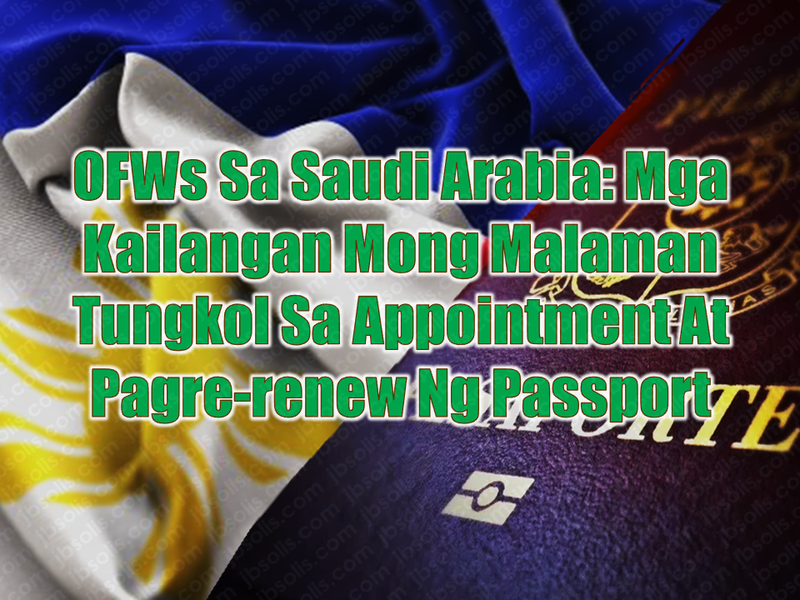 If you are an overseas Filipino worker (OFW) who is working in Saudi Arabia and your passport is in near expiry, you can contact or go personally to the Philippine Embassy or consulate nearest your area. 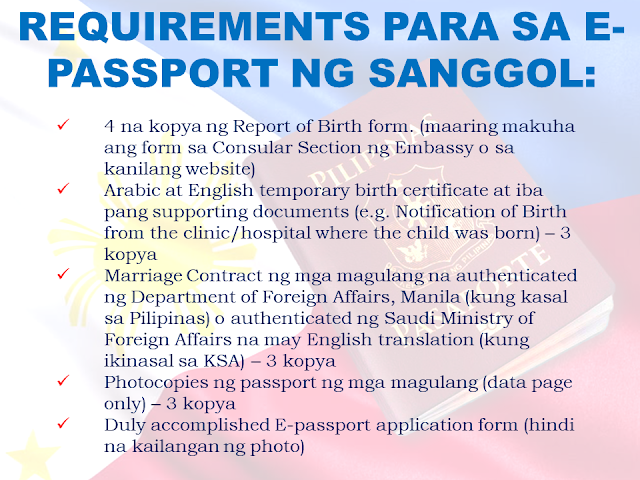 Of course, you may need first to secure an appointment and you can do it by visiting the official website of the Philippines Embassy in Saudi Arabia at http://philembassyriyadh.checkappointments.com/. 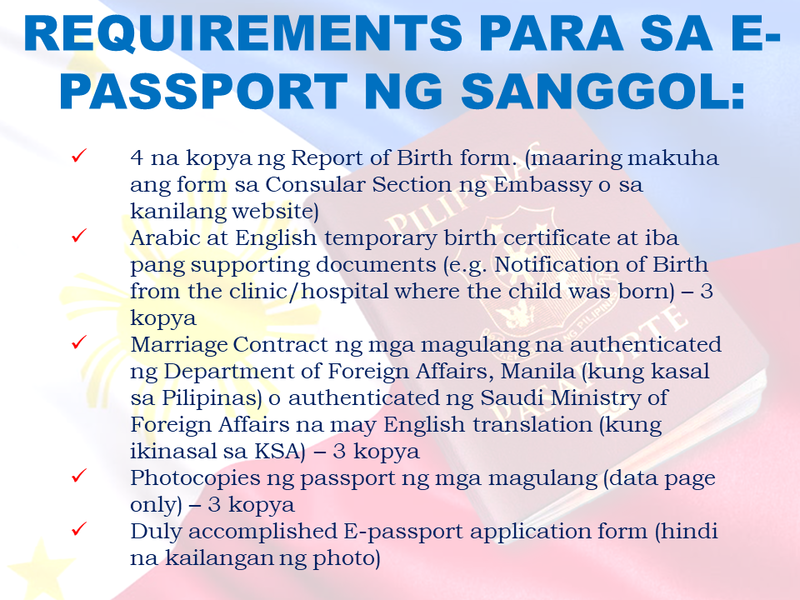 Applicants are also reminded to input their email address correctly; otherwise, the confirmation message from the Embassy will not get through. 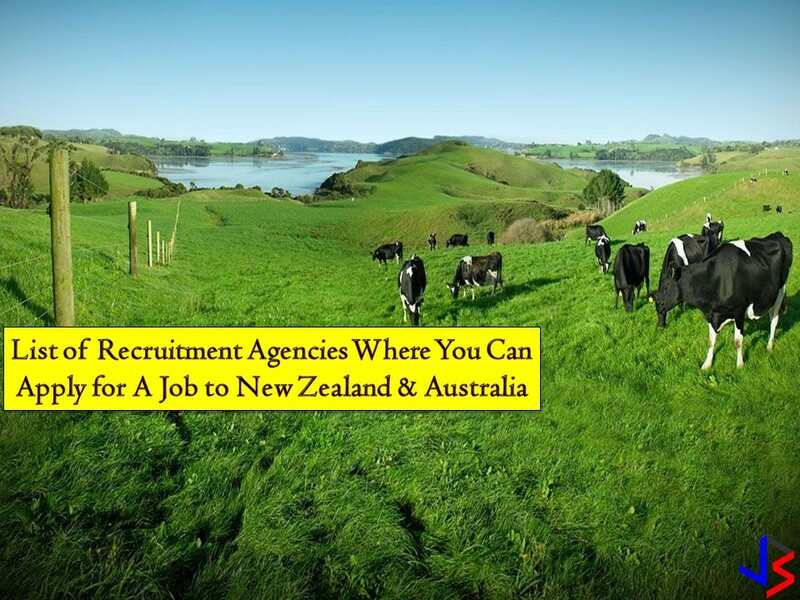 Applicants should only have one slot or name each in the online system. If you wish to reserve the slot for your child, please use the child’s name and information, and use your email address in order to receive and print out the confirmation message. 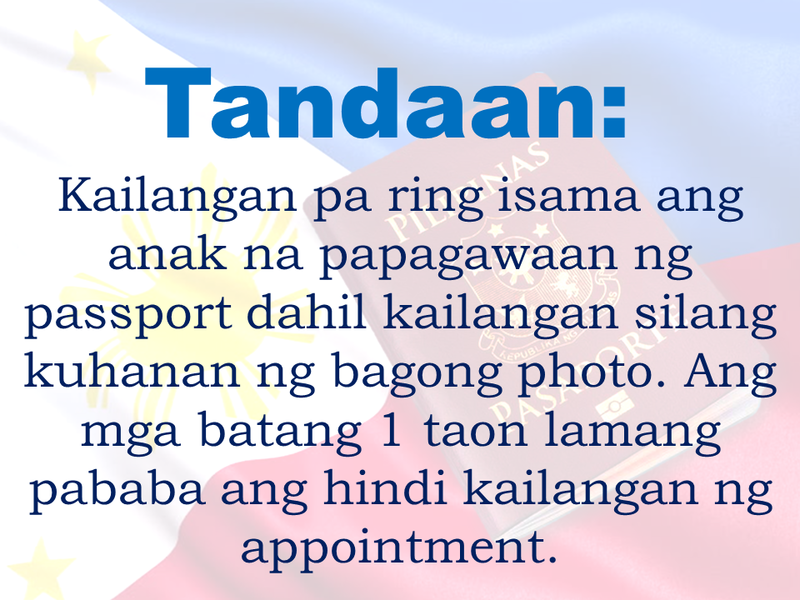 The Embassy cancels duplicate appointments on the system. Note: you need to bring your minor children at the Embassy, as their pictures will be captured. A parent/legal guardian has to accompany them. 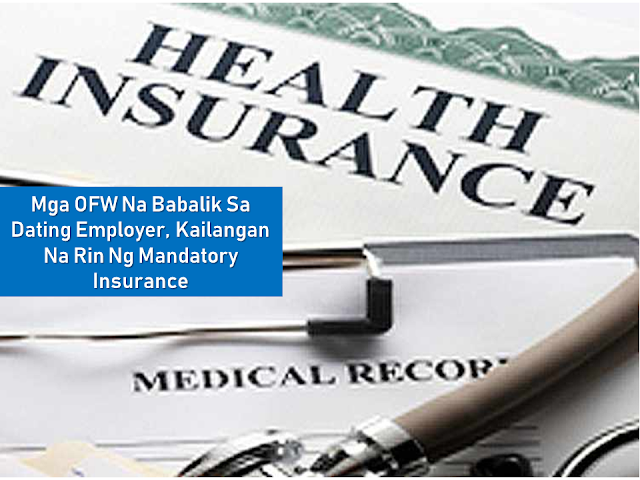 Their appointments must be entered separately, or one appointment for each child. The parent may use his/her email address, in order to receive the confirmation message. 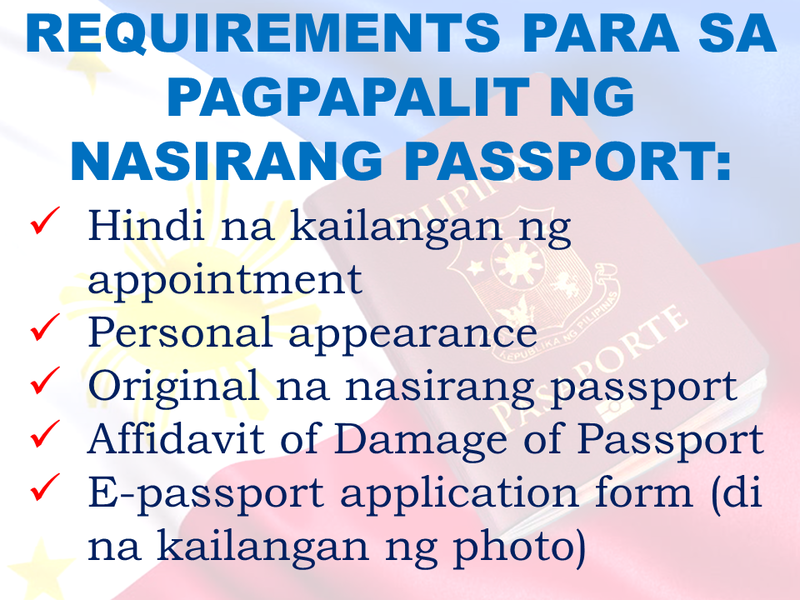 E-passport application form that can be downloaded from the Embassy website or obtained from Window 3 of the Consular Section or at the Information Desk at the Embassy lobby (no photo needed). 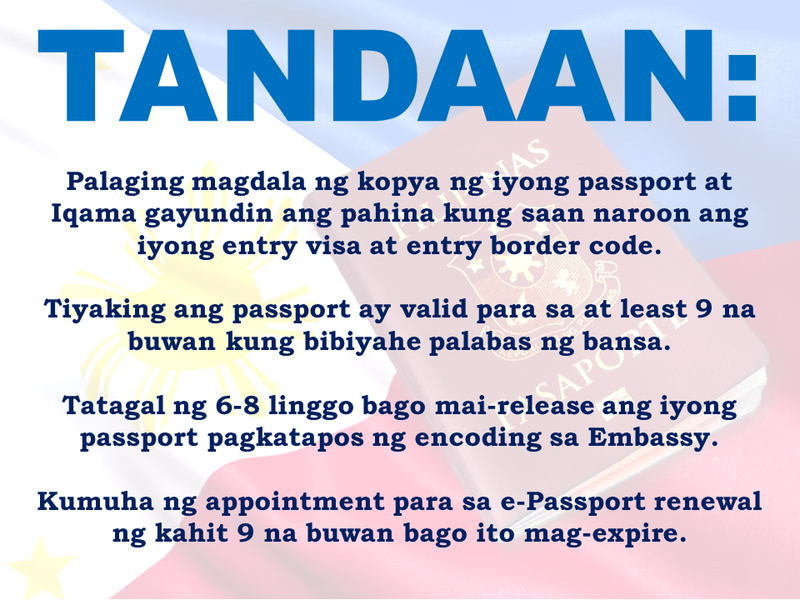 Make sure you complete all entries before you come to the Embassy. 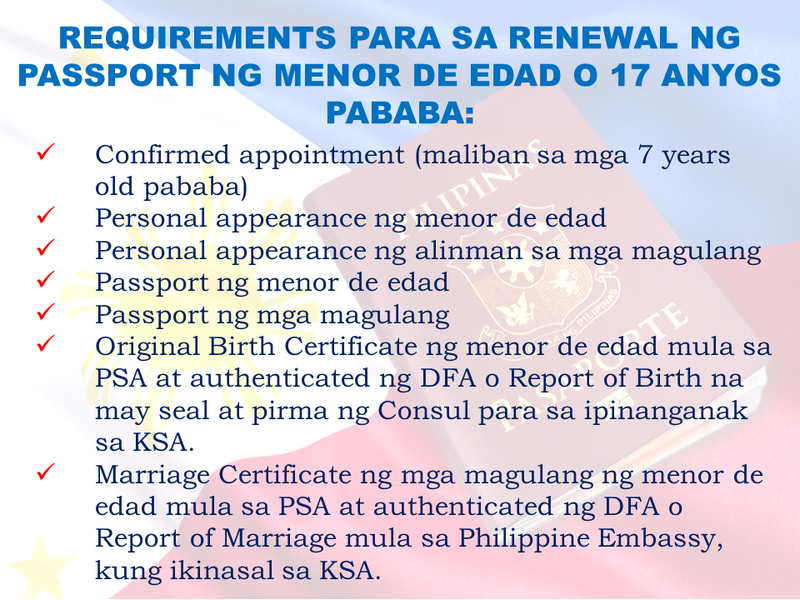 Original Birth Certificate of minor issued by PSA authenticated by DFA or Report of Birth with seal and signature of Consul for those born in the Kingdom. Marriage Certificate of minor’s parents issued by PSA authenticated by DFA or Report of Marriage issued by Philippine Embassy, if married in the Kingdom. Your photo and biometrics will be captured at the encoding area. 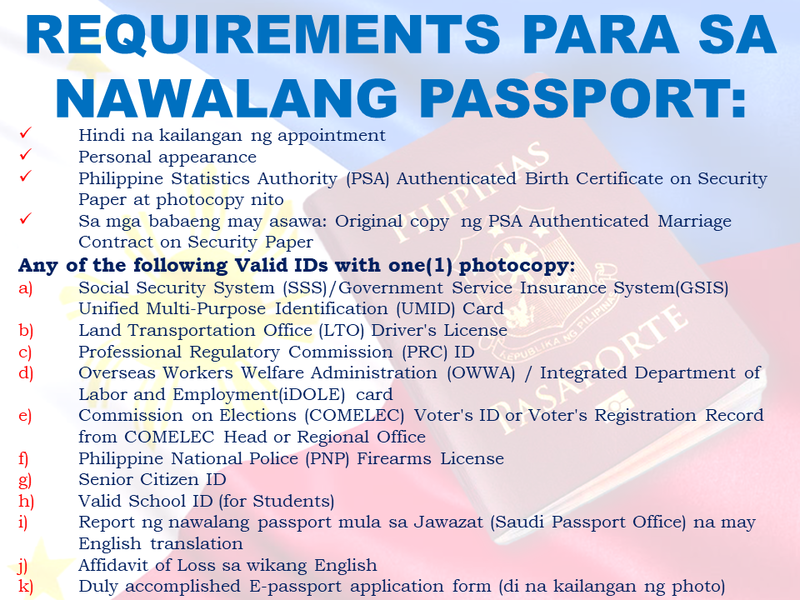 Review your passport enrollment certificate before signing, as your signature indicates consent and acceptance of the details as encoded for printing in your new passport. 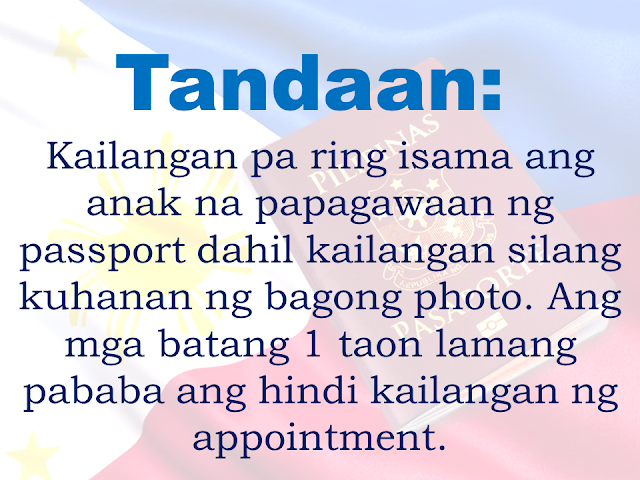 If there is a mistake in the encoding (the most common mistakes are birthdates, the spelling of the first name or surname, and gender of an infant), the resulting passport will also carry that mistake. 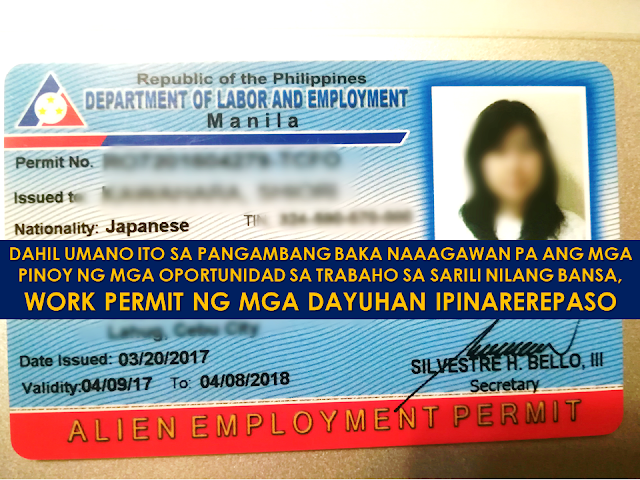 In such cases, the applicant will have to reapply for a new passport, pay for the same fees, and wait for the same amount of time (30-45 days). Bring this collection slip to the cashier for processing and pay the passport fee of SR 240.00 for regular renewal in cash. As part of our government regulations, the Embassy does not accept debit or credit cards. The nearest ATM machines and bank are about 200 meters away. Please note that if the payment is not made, the ePassport process will not be complete, and you will be unable to claim any passport, as the system will not start the manufacture of your passport. Always keep a copy of your passport and iqama with you. Also keep a copy of the page with your entry visa and entry border code. 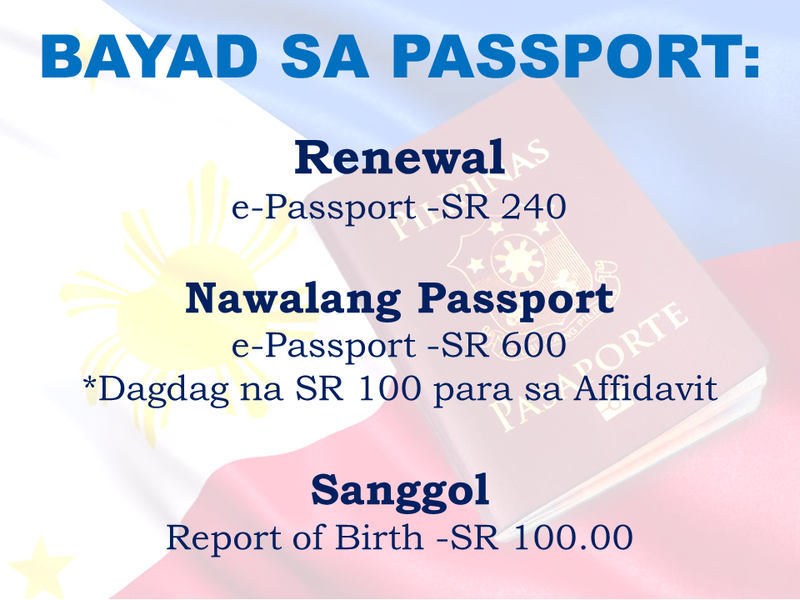 Make sure your passport is valid for at least 9 months if you will use it to travel. It takes about 6-8 weeks for your passport to be released after encoding at the Embassy. 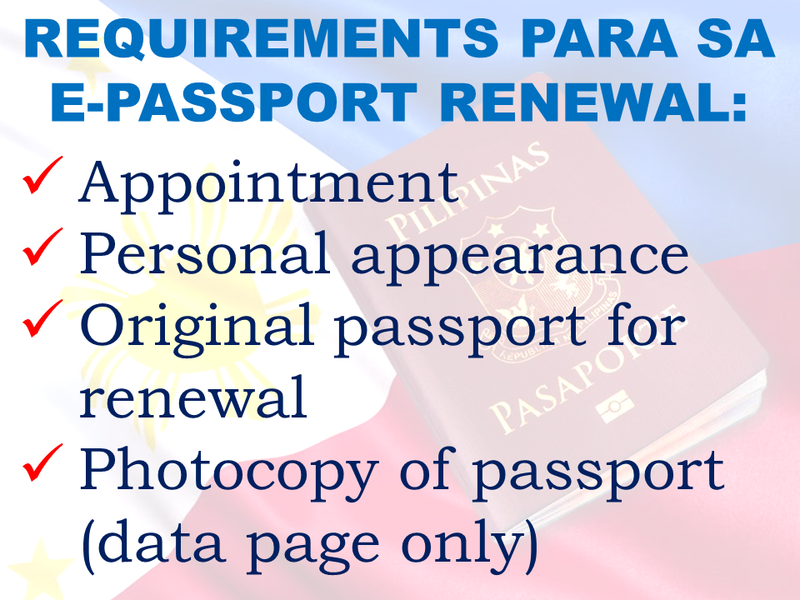 Get an appointment for e‑Passport renewal at least 9 months before it expires.